It Follows will no doubt be appearing on many a horror aficionado’s best-of list at the end of 2015. The film, a perfect mix of tension, big scares, and gallows humor felt both like a throwback to classic scary movies of a bygone era and a look to the future of what horror can be (not just another possession movie, low-rent found-footage slasher, or tortuous body horror). David Robert Mitchell’s film garnered plenty of comparisons to John Carpenter’s Halloween, which in turn was compared favorably to Alfred Hitchcock’s Psycho, back at the time of the Jamie Lee Curtis-starring film’s release in 1978. And now, House By The Video Store has put out a clip in which scenes from It Follows use Bernard Herrmann’s music from Psycho, and the music from Psycho is replaced with Disaterpeace’s It Follows score. The clip exemplifies the importance of music in the horror genre. Famously, producers didn’t think Halloween was going to work when they saw a screening of the holiday-themed slasher sans John Carpenter’s effective score. (It’s also amazing that so many people are being attacked by sharks this summer; can’t they hear the music?) Utilizing Bernard Herrmann’s lush music for Psycho over the modern-day horror of It Follows makes one long for the era of great orchestral scores, especially in this time of long drones and big noises that permeate so many films (and their trailers). Disasterpeace’s synth score being played over Hitch’s black & white classic never feels out of place, but rather slips right into the action. A testament to the timelessness of Hitchcock’s direction, the newly scored Psycho feels more like a throwback-style film produced today, rather than a 50-year-old classic. 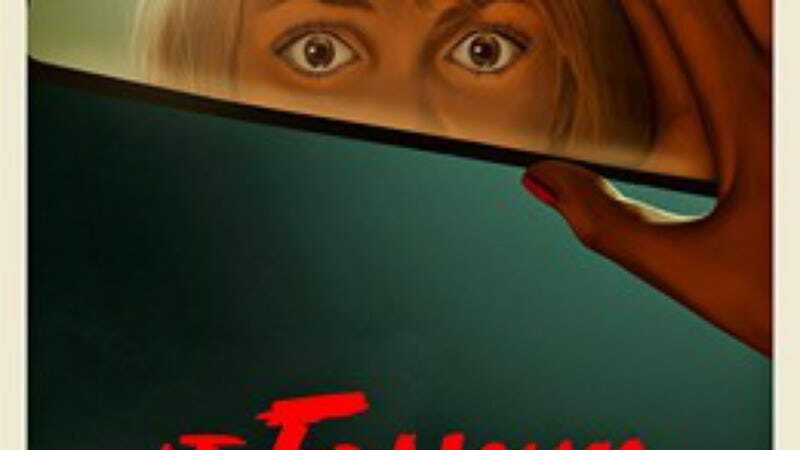 It Follows is now available on home video.